Medium-sized crop with green, finely scalloped leaves. 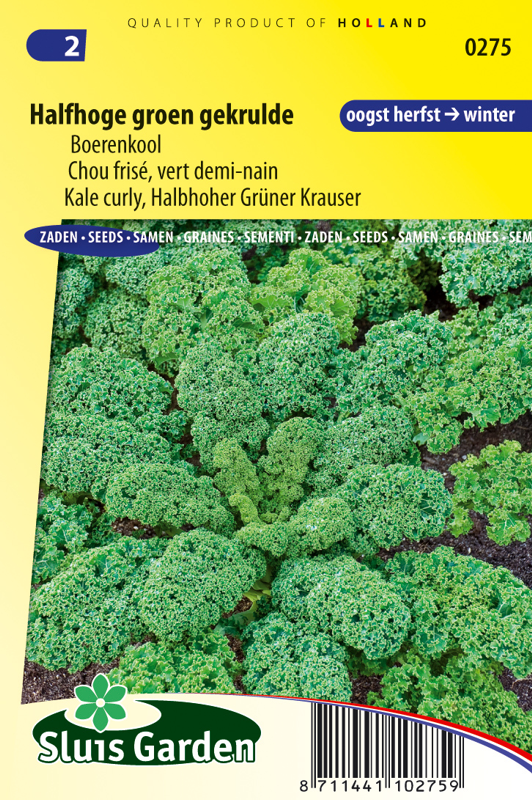 Kale curly is clearly less demanding than cauliflower and can grow on any type of soil. Sow in seedbeds or directly in soil blocks or pots. Keep soil moist. Transplant around August in well worked and fertilized soil. Use anti-insect nets to protect young plants against cabbage midge and cabbage root fly. 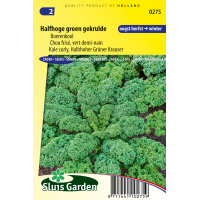 Contains many minerals as well as vitamins B and C. Can withstand moderate frost.